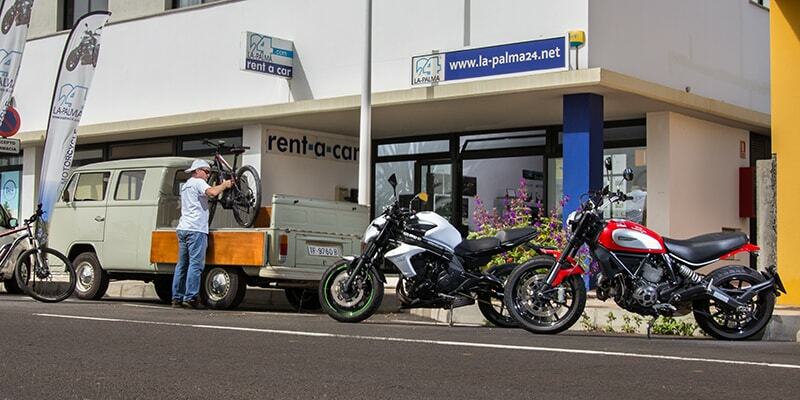 The pick up and return of rental motorcycle is exclusively at our location in Todoque. We rent only company-owned motorcycles and this into three languages. Our Team speaks German, English and Spanish. Our office is located in the center of the main touristic area on the sunny west side of La Palma in the village Todoque. We will be happy to organize on request a transfer from the airport to our office and after returning the motorcycle back to the airport. Subscribe in our newsletter and we’ll send you monthly interesting offers and information from the Isla Bonita.